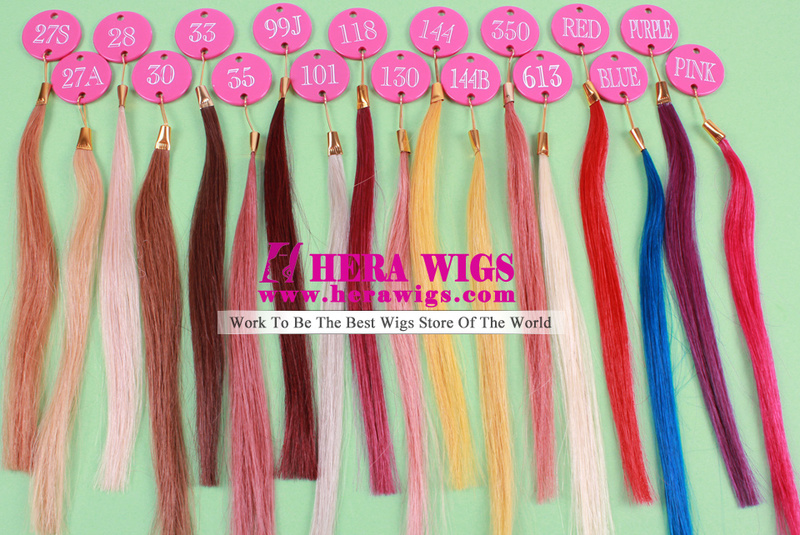 The followed is Hera's virgin hair color chart, which is used for any virgin hair materials, such as Chinese virgin hair, Indian virgin hair, Brazilian virgin hair, Malaysian virgin hair, Mongolian virgin hair, European virgin hair etc. We have to point out that the color chart has little color difference with the real color ring although we have tried to keep the color chart's color near to real color ring. 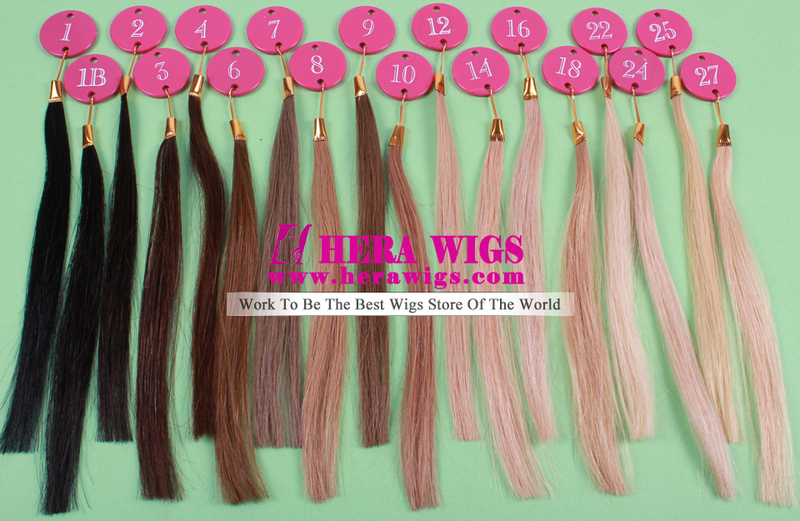 So if you are hair salon owner or hair wholesaler, we advise you buy one set virgin hair color ring to instead of the color chart.